We at Cates Real Estate are proud to be affiliated with such an organization. Congratulations to Maine Listings for its Platinum Certification status. It is a pleasure to be represented by a forward-thinking group of people who always have the consumer in mind. Our success is because of the people we affiliate with and knowledge of the tools available. And for that, we say “thank you and congratulations”. 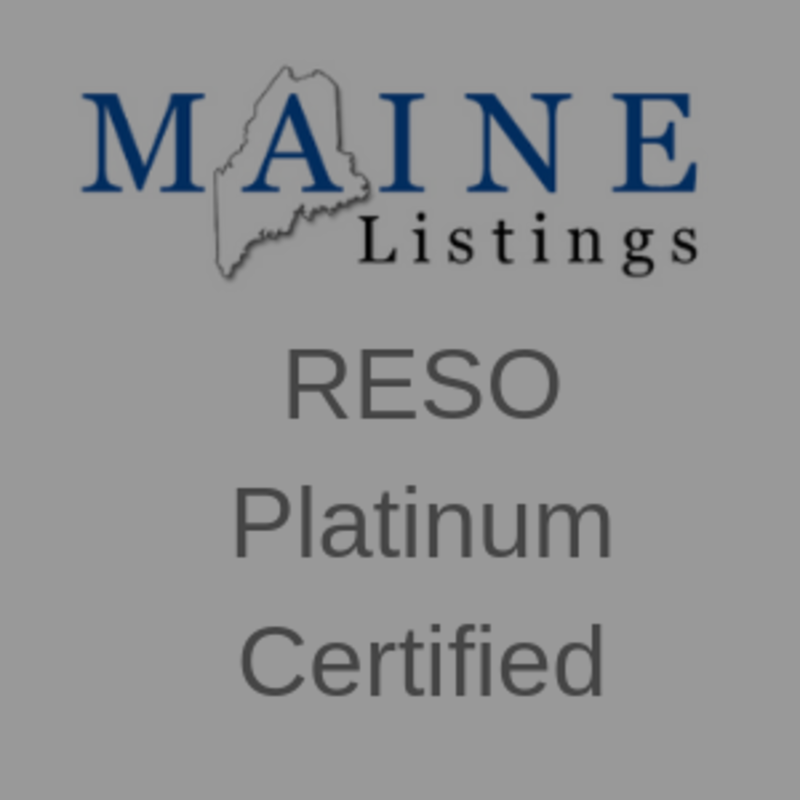 Maine Listings is RESO Platinum Certified! Maine Listings has achieved the Real Estate Standards Organization’s (RESO) Platinum Certification. This is the highest level of certification offered by RESO for its nationally standardized fields for multiple listing services. Why is this important? MLSs, brokerages and technology partners all deal daily with data feeds and the challenges that not having standards bring. By creating common standards, the need to create complex workarounds to “solve” the differences in core data fields that are defined differently by each MLS is eliminated. This will foster faster innovation and the ability to change and improve new technology that will serve brokerages and agents, and in the end, benefit home buyers and sellers.